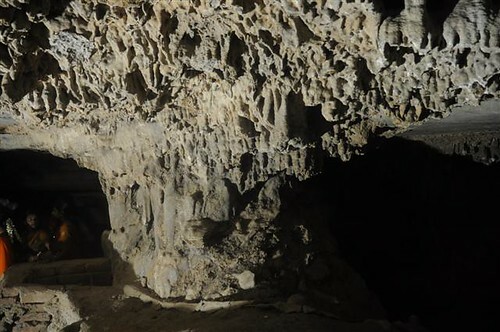 Stalactites and stalagmites in Ananthapur? Isn’t that a dry and arid place? How far is it? Only 270 Km.. hmmm worth a weekend? One fine morning hit the NH-7 from Bangalore -> Ananthapur -> Tadipatri -> Belum Caves. The only landscape after Tadipatri was huge vehicles with Granite and mining activity on both sides. No trees, no hills and no mountains. 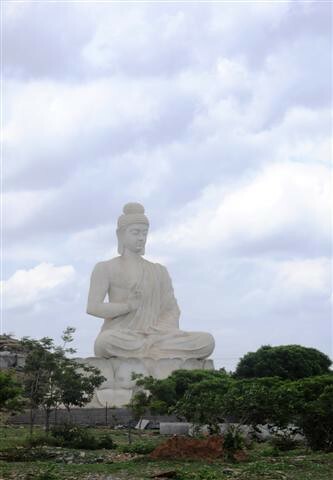 The place has literally sprung on the face with a gigantic statue of Buddha. It’s only after reaching the caves realized that these are Pits in the earth. Well, true to the image Anathapur & Kurnool districts evoked the caves are quite dry except for a little water running at the deepest bit (120 feet below earth), in the place aptly called as Patalaganga. These are the 2nd largest caves in India with a length of about 3.2 KM’s of which only 2 Km are open for public. 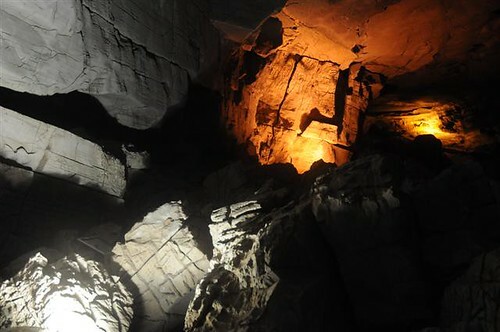 The whole set of caves are divided as different chambers, Simhadwaram, Kotilingalu, Banyan tree hall etc. There are some nooks and corners which require a bit of crawling and squeezing in. But for all such paths there is an alternate, normal path for the less enthusiastic. The regular paths opened for the public are quite dramatically lit adding to the ambience. Overall it was a trip that interesting and the place is truly a hidden GEM. 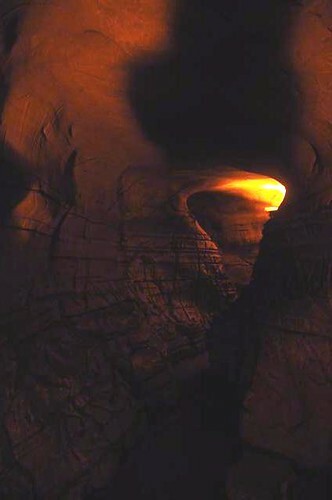 The recorded mention of these caves appears first in 1884 . However, these recordings were left unnoticed till 1982/83 when a German team headed by Herbert Daniel Gebauer conducted detailed exploration. The govt declared these are protected in 1988 and the tourism development department took these under its wings in 1999. These were opened for public only in this decade from 2002. Phew that’s a lot of numbers, during all this period these caves are known to the locals and some parts of it are used as a place of worship. 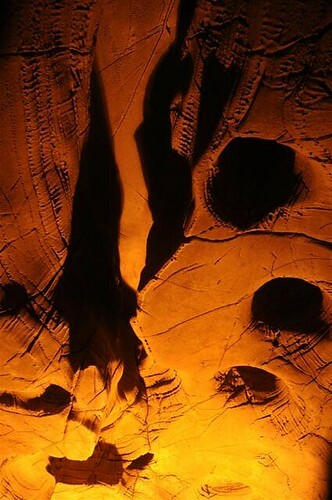 The caves date back to 4500 BC and some time in its long journey had been an abode for the Buddist & Jain Monks. The remnants excavated by ASI in the form of vessels are available in the Museum at Ananthapur. Except for the dormitory of APTDC there is no place to stay @ Belum. Best is to stay either in Tadipatri / Ananthapur. 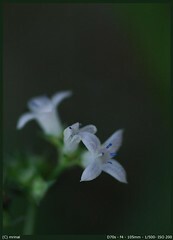 great photography and travelogue, Mrinalini! There's so much to see in and around AP, we just don't notice them. Thanks for the post. so much to learn and know.. so little time.. so end up trying my hands at various things..